I love books about books. This past year, I not only enjoyed reading several of Pat Conroy’s books, but I especially enjoyed his book about his own readings. My Reading Life–Conroy’s rich descriptions and unusual tales about his reading experiences. My Reading Life is an enjoyable book. Conroy tells of his own reading experiences, favorite books, book store adventures, and contacts with fellow authors and literary folks. Sometimes, he is too rough around the edges (and not just the edges), but Conroy is a master stylist and a powerful wordsmith. I often have to slow down and read his prose slowly just to hear the poetry in it. I bought a copy of My Reading Life this past summer at a Half Price Bookstore in Dallas (guided there by my friend Kent Travis). At some point, after I finished the book, Nick carried it off to Wheaton where it remains. About a month ago, I found another copy of the book. It was ‘like new.’ The only thing that was not ‘like new’ was the price–$2–for a hardback book. It is always useful to have a second copy of a good book, so I bought it. Today, I took that copy to my classroom so that I could read about Conroy’s experience in being coaxed into reading Tolkien’s Lord of the Rings. I opened the book, turning to the title page, and then nearly passed out. THE BOOK IS AUTOGRAPHED BY MR. CONROY. I showed each student in the class the autograph and then walked out in the hall and yelled, “This is amazing.” What a day! What a blessing! That could be my copy of a Conroy book that he is signing! I walked around dazed for quite a few years, starting in the 1970s. It all related to a series of changes God brought into my life. Step one, salvation. From being a nominal Christian in a small town church, I came to realize the personal, real aspects of Christianity. I didn’t know terms like justification and sanctification, but God did the first and was doing (and continues to do) the second. In this same progression of events, I began hearing of something called “a Christian worldview.” I was a history major in college, and I was a Christian, but I did not have a Christian worldview. I would have assumed that a Christian view of history meant studying the history of churches. But the idea of a Christian Worldview stunned me. It was a call to take “every thought captive” to the claims of Christ; it applied the Faith to all areas of life and thought; it emphasized that we are to love God with all our mind, as well as heart, soul, and strength. The Christian Worldview tied my love of words with my increasing love of God’s Word. As it turned out, the 1970s was the crest of the wave of Calvinistic Worldview Thinkers. Andrew Sandlin’s experience paralleled mine. He said, “We were tractor beamed into the Faith by the brilliant intellects of that time.” God had, as it turned out, been blessing the Church for several decades with great Christian thinkers. Many of these men were in the Reformed or Calvinist tradition. The greatest popularizer of this mode of thinking was Francis Schaeffer. His book (and the film series) How Should We Then Live? is unsurpassed as a way of introducing the key thinkers and movements and issues that have been the foundations of Western Civilization. Schaeffer taught a whole generation of Christians how to think. He viewed himself as a preacher, not a philosopher or apologist or cultural critic, but he pushed (shoved) unsuspecting Christians into all kinds of fields of thought and activity. Somewhere along the way, Christian Worldview Thinking, as well as Calvinism, became popular in more and more Christian circles. The market opened up for more popular writing by Reformed authors. The popularity of John Piper, R. C. Sproul, Tim Keller, and others testify to the ever-increasing market for Reformed writing on Christian doctrine and life. The same thing happened in the area of writing on a Christian Worldview. Home schoolers and private school parents have bought the idea of teaching a Christian Worldview. Just Google “Christian Worldview” and you can fill a library with books and materials. But lest I sound like the old fogey longing for the good ole days of Calvinist intellectuals, the tradition continues. Along with many fine short, evangelical, practical books on Christian doctrine, life, and practice, there are still books being written that are bulky, intellectually heavy, challenging, and thoroughly Christian on various areas of life and thought. One such book is Logic by Vern Poythress, published by Crossway. Subtitled, “A God-Centered Approach to the Foundation of Western Thought,” this book is not simply a book on logic written by a believer, but a book predicated on the idea of a Christian approach to logic. In the Introduction, Dr. Poythress credits Cornelius Van Til for boldly stressing the distinctiveness of a Christian approach to logic and D. H. Th. Vollenhoven for emphasizing the necessity for a Christian logic. (Van Til and Vollenhoven were both Dutch Christian thinkers, and I talked about the Dutch Calvinists in my 2008 “Spheres of Reformation” lectures in Alaska.) As Poythress notes, these two Dutchmen built their thinking on the work of Kuyper, John Calvin, and Augustine. Logic by Poythress is not the book to get to teach logic to your junior high student. For that, you are much better served by getting Introductory Logic by James Nance and Douglas Wilson or Traditional Logic: An Introduction to Formal Logic by Martin Cothran. Poythress’ book is for the teacher, for someone like me who has taught logic several times and now thinks he understands it. This book is also for the college class (either undergraduate or graduate level). One had better not attempt this book without strong coffee. I am thankful for this book, Dr. Poythress, and Crossway, even though much of this work is beyond my ken. This too is a mission field. This too is fulfilling the Great Commission. This too is clearly “taking every thought captive.” If it weren’t for the cost of the book ($45, list price), it would be great to hand out to every sneering skeptic and unbeliever who thinks Christianity is anti-intellectual and stupid. Poythress is professor of New Testament interpretation at Westminster Theological Seminary, where he has taught for 33 years. He has six earned degrees, including a PhD from Harvard University and a ThD from the University of Stellenbosch. He is the author of numerous books on biblical interpretation, language, and science. Vern Poythress continues to produce great and challenging books on theology, science, language, and now, logic. I hope to post more on this book later. Charles Portis, best known for True Grit, was a news reporter and an observer of Southern idioms. We had not heard these expressions, “acting ugly,” and “wearing you out,” in a long time, and it sets us to thinking about Southernisms. We thought of those two good adjectives, “tacky” and “ratty” that are being largely ignored these days. Notice, this was written in 1959. And some of these statements, Portis said, were not heard anymore. I grew up hearing misbehavior described as “acting ugly.” That is a great description for what sinful behavior is like. And I knew, from experience, what was meant by “wear you out.” Only later in studying history did have I the terms “cause and effect,” but those historical concepts were taught early on. If you want to hear Southern talk, and watch them, attend a gathering of a whole family of them. They’re at their most Southern there where the conditions are optimum. And you can learn a right smart if you listen. A fresh history by a increasingly important historian Amity Shlaes. I am currently reading The Forgotten Man: A New History of the Great Depression by Amity Shlaes. I bought the book when I was in Alaska back in 2008 and am long overdue in reading it. But I cannot get Amity Shlaes new book on Coolidge until I get this earlier book read. Down to his dying hours, Bede was teaching, writing, and advancing the Kingdom of God. I have read and used quite a few good histories of Britain. Britain as a nation has produced some of the world’s greatest literature, from Chaucer to Shakespeare to Lewis and Eliot. It has also produced some of the world’s greatest historians. The history of the British Isles is a rich, multilayered, and powerful wealth of stories. Whether one reads from Macauley’s classic History of England, or Winston Churchill’s magisterial History of the English Speaking Peoples, or Simon Schama’s richly inviting History of Britain (either in the print or video version) or Peter Ackroyd’s recent Foundation: The History of England from Its Earliest Beginnings to the Tudors, the story is grand and full. But all the various histories of England all are rooted in the work of a monk named Bede, who lived from the late 600s to early 700s. A prolific scholar and writer, Bede’s activities were confined to a monastery at a place called Jarrow. From there, he collected and compiled the stories that were conveyed to him of church life in England. Bede’s accounts are uneven, unusual, and often unorthodox. A founding father of Anglicanism, he would be seen as an extreme charismatic in our day. Bede believed in miracles, and the miracles he heard of were often related to saints, or believers, of his time. The accounts were nothing short of fantastic and not easily believed. Did God use extraordinary means to convert the British? Were those Roman Catholic Christians of the early 700s clear on the doctrines highlighted in the Reformation? Was the battle over the date of celebrating Easter really that important? Were the Celtic Christians more or less orthodox? Bede raises questions we cannot easily answer. But he is the only source for much of what was happening in Britain at that time. There were multiple kingdoms and multiple kings. Some were converted, and some needed to be converted. Christianity was not the established religion, but was in its ascendancy. Irish Christians, following in the footsteps of Patrick and Columba, were spreading the Gospel from the Isle of Iona southward. Monks sent from Rome were spreading Christianity from south northward. I wish the rulings at the Synod of Whitby had gone differently. I prefer the excess baggage of Celtic Christianity over that of Roman Christianity. But the Gospel is salt and light, and as such, it works slowly in a culture. Little by little, kingdoms were converted, sacred writings were copied, translated, and taught, and England, the land of the Angles, was Christianized. My class recently finished laboring through Bede’s Ecclesiastical History of the English People. This is not an easy read. Bede is not a page-turner. But he is the Father of English History, or you might say, the Father of English Church History. He collected bits and pieces of a story that continues to this day. It crossed the oceans of the world and it impacted the world I live in. I am the heir of Bede’s labors in more ways than one. We read the Oxford World Classics edition of Bede’s History. It has appeared in countless other editions. In our Humanites class, we also just finished reading Consolation of Philosophy by Boethius. Boethius, awaiting trial and execution, is visited by Lady Philosophy. Boethius’ book was second only to the Bible in its popularity, influence, and use during the Middle Ages. It is thought that King Alfred the Great, among others, translated it. Scholars, theologians, philosophers, and rulers read, studied, and meditated on this work. No education was complete without reading, studying, and maybe translating and writing a commentary on The Consolation of Philosophy. It is a rich read that deals with some of life’s most troubling questions. Why do bad things happen to good or innocent people? What is truly true, good, and lasting? How do we reconcile God’s foreknowledge and human freedom? Puzzling to many through the years, Boethius pondered and debated the questions with Lady Philosophy and not with Scripture. At many points in the reading (and we read it together in class), I was making mental notes of pertinent Bible passages, but Boethius never mentioned even one. He references Homer and Greek mythology, borrows from Plato and Aristotle, and often refers to God. But like the Book of Esther, Boethius’s Consolation makes no sense without presupposing God. None is this is to say that every answer he gives is good or convincing. But he did ask many of the right questions. This was the first time that I actually read Consolation of Philosophy. C. S. Lewis put Boethius’ Consolation on his personal list of the ten books that most influenced him. (http://www.patheos.com/blogs/scriptorium/2010/04/boethius-according-to-c-s-lewis/) That alone is justification for time well spent reading and discussing this book. Brian Moore had a great quote from Charles H. Spurgeon that he used in his eulogy for Lil DeMoss, who was married to Pastor Jimmy DeMoss for 56 years. I found the source and am giving thanks for the wonderful pastors’ wives I know of, and especially for one whose love and labors keep me going. A masterful preacher and writer, Charles H. Spurgeon. that is impossible; she cannot be at everybody’s beck and call, and she cannot expect to please everybody. Her husband cannot do that, and I think he is very foolish if he tries to do it; and I am certain that, as the husband cannot please everybody, neither can the wife….Difficulties arise continually, in the best-regulated churches; and the position of the minister’s wife is always a very trying one. Still, I think, that if I was a Christian young woman, I would marry a Christian minister if I could, because there is an opportunity of doing so much good in helping him in his service for Christ. 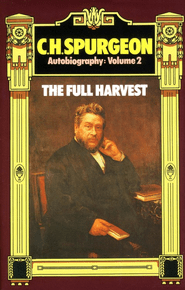 Volume 2 of Spurgeon’s Autobiography. I better get it off the shelf soon. This is another great Banner of Truth publication. Books all neatly stacked reveal a disorderly mind. On the other hand…. I need a balanced diet. And I need to be fed and fed a lot. I speak of the pastor’s desk and not of the dining table, which is ironic since the dining table is where I do my reading. I always have ever-growing, tilting stacks of books around me. Some have been finished, but I want to scan back over parts. Many have bookmarks at various places. These are the current reads that will be finished with the next few weeks, or months, or years. Some will be read from cover to cover, while others will be dipped into at parts. And then there are the new ones, inviting me to peer inside. This past month, I finished two very different books. They were Inerrancy and the Gospels by Vern Poythress and Power Through Praying by E. M. Bounds. As I said, these were two very different books by two very different authors on very different subjects. Poythress is a professor of New Testament studies at Westminster Theological Seminary in Philadelphia. He has numerous degrees and has authored quite a few books on theological subjects. He is a living exemplar of the great tradition of Presbyterian theologians and worldview thinkers. In other words, he is standing on the shoulders of such men as Charles Hodge, Benjamin Warfield, J. Gresham Machen, and Cornelius Van Til. 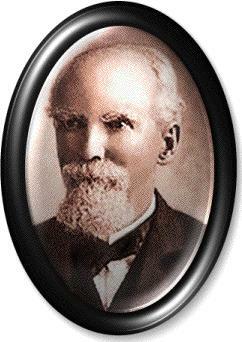 E. M. Bounds was a Methodist pastor who lived in the South from 1835 to 1913. He served as a chaplain in the Confederate Army and was imprisoned by the Federals for a time during the War Between the States. During the last seventeen years of his life, he wrote a series of books on the spiritual life. The recurring theme and pattern was the call to prayer. Rising at four in the morning and praying until seven, he practiced what he preached and wrote. Both of these books were hard and challenging reads. Inerrancy and the Gospels by Vern Poythress, another fine Crossway publication. Poythress’ book discusses how the Gospels are to be harmonized. We have four Gospels that give similar accounts of events out of the life of Christ. Each author includes details the others leave out. Some of the varied accounts can be easily explained, while others are more difficult to reconcile. Scoffers and critics and lazy Bible students can dismiss the differences and assume that the writers were mistaken at points. The key word in the title of Poythress’ book is Inerrancy. Poythress does not give easy, “look at the answer key,” solutions to these accounts. He gives theological, literary, and linguistic approaches to solving the concerns. Underlying the tools are the presuppositions. These are that God is reliable and truthful; therefore, His Word is reliable and truthful. Add this also, God wants us to labor over the Scriptures. This is serious theological reading. I felt like I was sitting in Dr. Poythress’ classroom. I also felt like I needed to do more homework. I certainly had to pay attention. Karl Barth was right when he said that theology was sermon preparation. I am realizing more and more that I need to be better at the one so that I can improve on the other. Vern Poythress, scholar and theologian, at work. 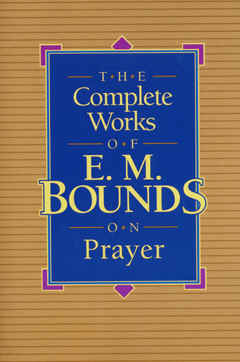 A newer edition of E. M. Bounds’ classic on prayer. This book has remained in print for over a century. The difficulty of Bounds’ books on prayer is in the doing of what he said. It is an all embracing call for serious, devoted, lengthy praying. In Bounds’ case, remember he prayed for 3 hours a day. I stumble when I read this book. While reading it, I prayed prayers like “God help me” many times. This is an undiluted, uncompromising, unabashed demand that God’s people, and especially preachers, go before God. Pastor and author E. M. Bounds, prayer warrior and writer. I had the testimony of two witnesses encouraging me to read Bounds. George Grant has often spoken and written of the ministry and ministry of E. M. Bounds. This past year, Andrew Sandlin read through a number of Bounds’ writings and continually exhorted me to do the same. They were right. One read is not enough. And once again, sitting under the teaching of E. M. Bounds, I realize that I have homework to do. I need to pull this book from the shelf and read more on prayer. I need to read and labor over prayer until the exhortations truly change me.